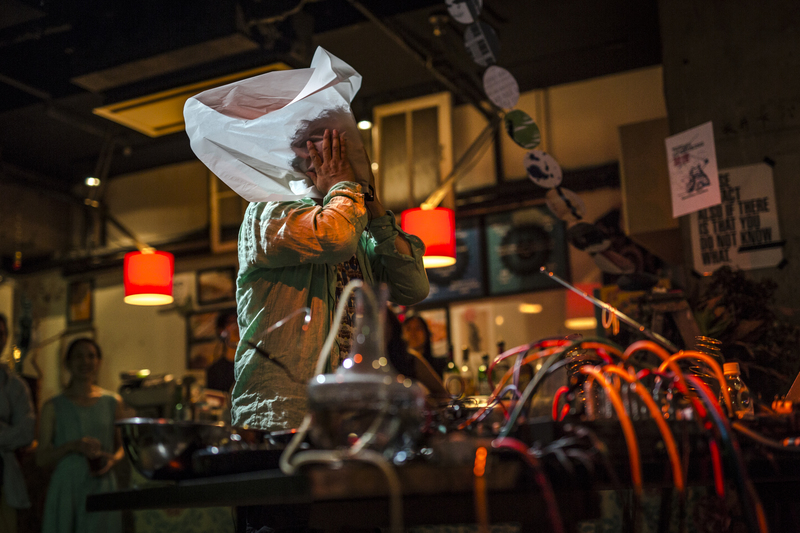 Although the collective improvisation project Marginal Consort performed only once a year for a long time since its inception in 1997, they have been drawing international attentions recently. Their performance, which is completely free from abstract, political or sometimes mystical ideas about improvisation, neither contraposes the immediacy of “action” or anonymousness of “sound” against “music” nor dramatizes the dialectics between the individual and the whole. Even the words “collective” “improvisation” “project” do not really tell the way they work. 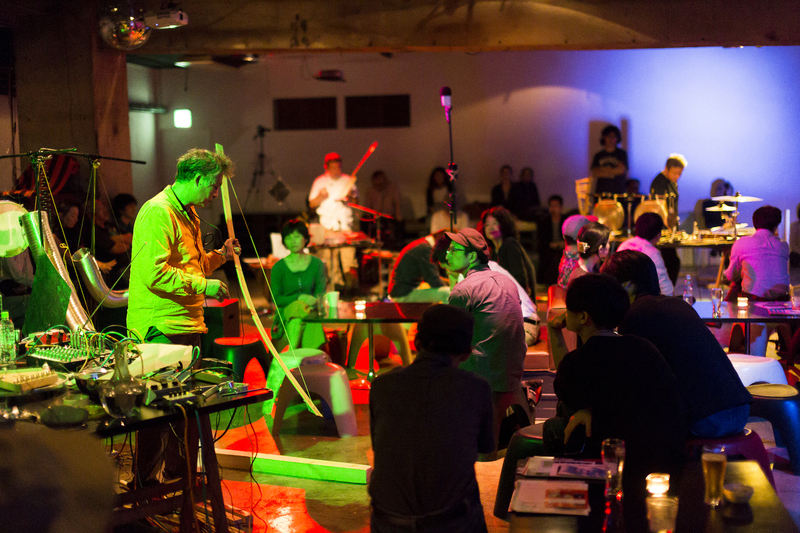 The members from different backgrounds (Kazuo Imai, T Koshikawa, Kei Shii and Masami Tada), who got to know each other at Takehisa Kosugi’s workshop (Bigakko, 1975), produce sonic phenomena using anything available, whether instruments or objects, from viola da gamba to electronics or from bamboo to water, and that develops spatially and temporally. A three-hour performance that feels like a moment when experienced. Try different positions across the venue, which should drastically change the sonic quality. Studied the guitar with Masayuki Takayanagi from 1972 to 1985. Started his activities mainly in the field of improvisation in 1974. Participated in Takehisa Kosugi’s music classes at Bigakko in 1975. Launched “Solo Works” in 1991, which has been performed 69 times since then. 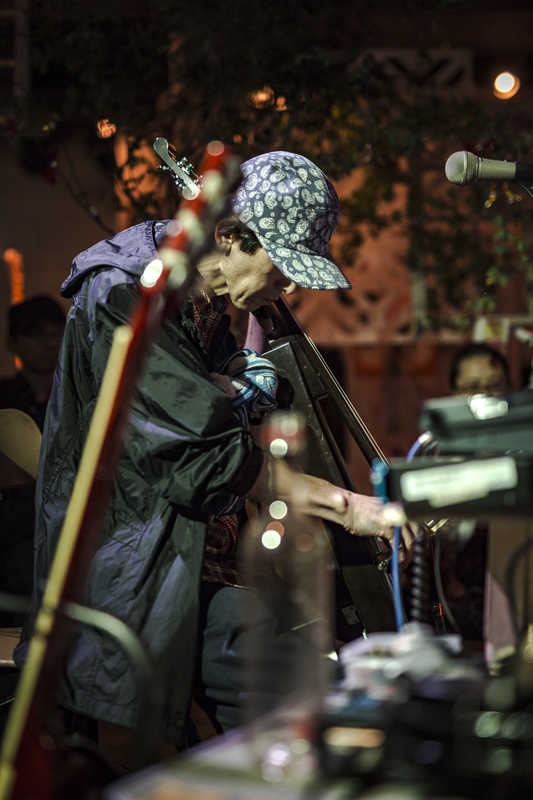 In 1997, he started collective improvisation with Yasushi Ozawa, who passed away in 2008, and the current members as “Marginal Consort.” In 2005, he formed “Kazuo Imai Trio” with Atsuhiro Ito (optron) and Manabu Suzuki (handmade electronics). Participated in Takehisa Kosugi’s music classes at Bigakko in 1975. 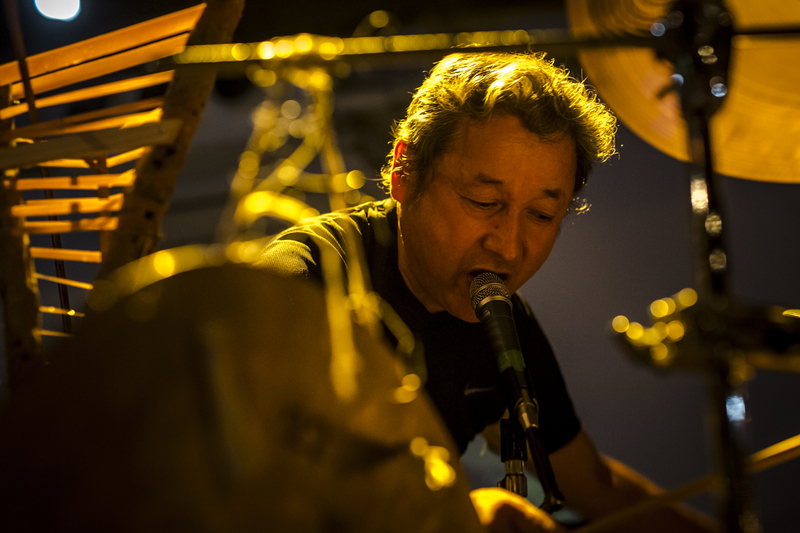 Creates tape music, and has experienced rock and jazz bands as an amateur since becoming a local government employee. He is also familiar with Indian music (North Indian classical music) and Noh chant (Kanze School). Studied the fine arts with Genpei Akasegawa and music with Takehisa Kosugi from 1973 to 1975. 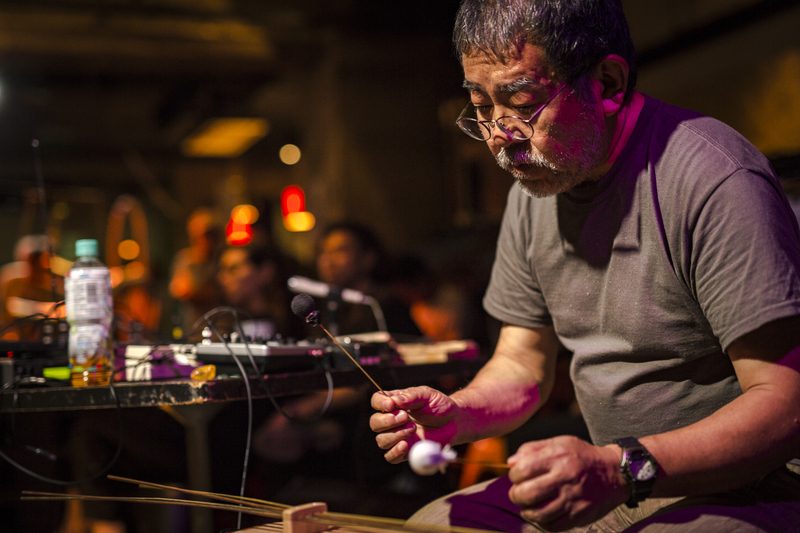 Creates sound systems involving various sensors and sound installations making use of physical science principles. He also supports a number of performers and dancers in technical and sound design. An engineer at Aoromi Contemporary Art Centre since December 2001. Formation and activities of an improvisation group “GAP” from 1974 to 1979. Participated in Takehisa Kosugi’s music classes at Bigakko in 1975. Shot the same tree everyday for 365 days in 1978, which would be re-printed for his first solo exhibition at Pennings Gallery in the Netherland in 2000. Serious Circus exhibition, where audience would peep into a tent in a gallery, in 1996. Having watched old festivals in Nepal since 2002, he had “Art-Full Nepal,” a live performance / drinking bout with local artists, in 2006.